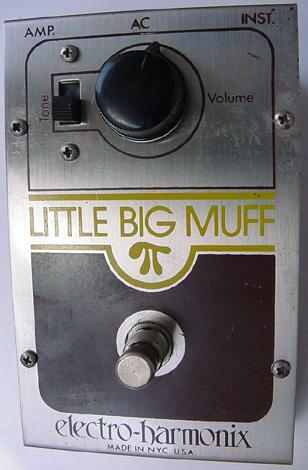 The original Little Big Muff from the 70s which included just a volume knob and tone switch. To compare it to a conventional 3 pot Big Muff, the circuit is set up as if having a fuzz pot in the full clockwise rotation, so I suppose Electro Harmonix decided that most people would use it that way, so why not do away with the control and just have it dimed. The tone switch effectively selects between the full clockwise, and full counter clockwise rotation of a Tone pot which may not be ideal for some (I usually have my Tone pot at half way all the time and then just vary it with the tone control on my guitar. 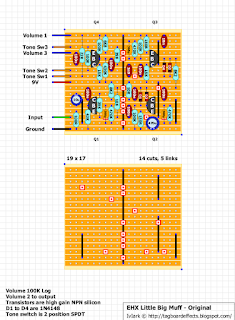 If you would prefer to simulate this half rotation, swap the 100K resistor between Tone Sw1 and Tone Sw3 to a 47K, and then put another 47K in series with either the Tone Sw1 or Tone Sw3 wire from the board (depending which other switchable tone you want alongside the middle setting). +1 What an awesome start to 2013!! You guys rock, keep up the great work! How would I go about wiring a potentiometer instead of a switch for the sweep? Obviously off of the three tone switch wires, but which value do you think would have the best sweep? 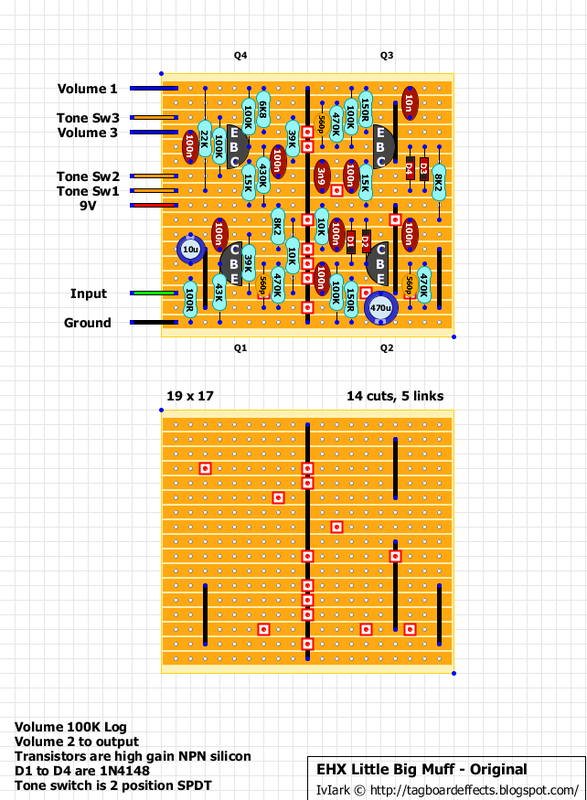 Also, how would I go about tone bypass as well? Thanks for your help! Hi, Mark! For example, which transistors can be used? 2N5088, 2N5089, BC549C, BC550C. Just watch the pinouts of whatever you try to make sure they match. Could a mid switch be wired up like the other muffs here?